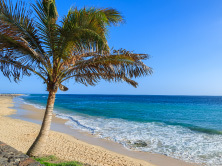 If you are planning your holidays to La Gomera the following information may help by giving you an overview on the island, and help you in your selection from our range of hotels, apartments and villas in La Gomera. 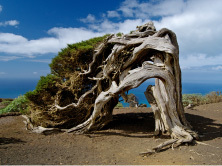 You will be astonished at what the island of La Gomera has to offer! 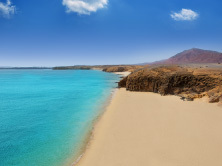 You will find valley floors laden with produce, grassy saucer-shaped basins, elegant palm groves and pockets of pines … a peaceful island; ideal for unwinding and just a stone’s throw from neighbouring Tenerife providing a stunning contrast to Tenerife’s commercialism and barren landscape. On a fine day, La Gomera’s scenery is glorious and many go to La Gomera for a day trip whilst others hire a car and explore on their own the dizzying hairpin bends and the intensely buckled terrain and dramatic ravines. The best section, the Parque Nacional de Garajonay, is a UNESCO World Heritage Site, and is a lure for keen walkers. This dense 4000 hectare rain forest is the largest and most complete example of laurasilva left in the world. The distinct microclimate on La Gomera [which almost permanently covers this central high plateau in mist] also provides the necessary humidity allowing this unique ecosystem to thrive. The best way to enjoy your holidays to La Gomera is to stay awhile and explore it at your leisure [even from the roads], but preferably by doing some walking in a pair of sturdy boots. Valle Gran Rey [Valley of the Great King] is one of the most popular walking bases with bananas, papaya and citrus fruits growing in profusion here. 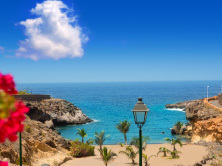 La Gomera is the most accessible and visited of the smaller western islands, only 45 minutes by fast ferry from Los Cristianos in Tenerife, or by internal flight from Tenerife and Gran Canaria. 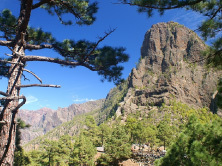 La Gomera is not known for its beaches but for its dramatic mountain scenery. 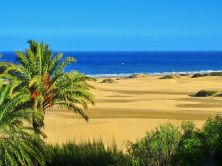 People go on holiday to La Gomera not in search of sun, sea and sand but to relax in peaceful surroundings. However, if it is beaches you are looking for, Valle Gran Rey boasts the best pair of black sand beaches but with a good scattering of pebbly stretches. A similar mix, shorter but wider, exists at San Sebastian and is sheltered by being within the large enclosed harbour. 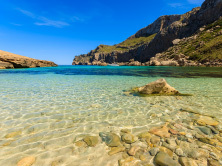 Playa de Santiago’s beaches vary from smooth rounded boulders – too heavy to lift –to finer grey pebbles and shingle near the fishing port. Each resort and village has a handful of small restaurants offering simple local fare that is filling rather than fancy as befits a tiny rural island. Local specialities include watercress soup served in a wooden bowl, several goats cheeses and a piquant spread made from these with added spices, butter and oil called almagrote eaten on bread or potatoes. Local fish and a honey extracted from the palm trees also feature on most typical menus. Some resorts have a pizzeria and the capital, San Sebastian, has a couple of more sophisticated restaurants. La Gomera’s perfect climate and steep mountainous terrain makes it ideally suited for the production of wine. Vines cling to the terraces, each protected by tiny dry-stone walls and most are still tilled and tended by hand. The chief areas of production are the slopes around Agulo, the Valle Gran Rey and Vallehermoso. The end product is good but not vintage quality. The best names to look out for on your La Gomera holidays are Listan Blanco, Marmajuelo and Forastera Gomera. The white wines of Vallehermoso are honey-coloured and strong. Limited to strictly functional local shops and a few minimarkets to serve the basic needs of the indigenous population of farmers and fishermen. Only the hotel at Playa de Santiago has anything approaching a boutique. Husbands of shopaholic ladies on holidays in La Gomera can leave their credit cards at home and breathe a huge sigh of relief here.